The session shows real use case scenarios for the MySQL 8 new features like Resource Groups, instant column addition and others that make DBA's life easier. Alex working at Percona as Architect. Alex worked with MySQL since 2003 as DBA , Consultant, Architect and Software Engineer . Before joining Percona he was doing MySQL consulting for over 7 years in various companies. 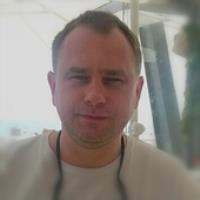 He helped many customers to design and implement , scalable and highly available MySQL based systems as well as performance optimisations.